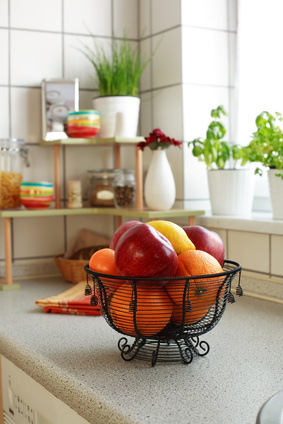 That bowl of fruit on the kitchen countertop often gets bypassed in favor of less healthy snacks. But it is to your advantage to look at what is offered there with fresh eyes, because fiber in fruit contributes to health. When you are choosing fruit for that bowl, do you know which fruits are the best choices? Which fruit has the most the fiber? The least? Fruits are a needed staple in our diets and their sweetness is much more wholesome than syrupy sodas, cookies, and candies. Incorporating fruits into your daily diet can be done with ease if you take the time to realize their important dietary role. Furthermore, they are readily available and often encased in their own environmentally safe packaging if properly washed. Getting enough fiber in our diets continues to be a challenge faced by health-conscious individuals. The average American does not consume enough fiber as shown by recent studies, with 75 percent of the population failing to eat the minimum amount recommended by the USDA of eight to ten servings of fruit and vegetables a day. These recommendations were increased from five servings because as nutritionists studied our diets, the more they realized the benefits of eating fruits and vegetables. For constipation suffers, additional fiber added to the diet can bring relief. 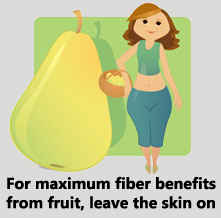 And if you are trying to lose weight or maintain a weight loss, fiber can dramatically aid your efforts. Consumption of fiber has been linked with a decreased risk of acquiring several diseases, such as heart disease, diabetes, high blood pressure, and diverticulitis. One study showed that for every 10 grams of fiber additional consumed, the risk of a heart attack dropped 14 percent and the risk of coronary heart disease dropped 27 percent. The link between lowered coronary heart disease was stronger for cereal and fruit fiber, rather than vegetable fiber. An explanation may lie in the fact that vegetables contain starch and are often heavily processed, reducing nutrient values. Unfortunately, the long-held belief that fiber intake reduced the risk of colon cancer has not been proven by numerous studies. Technically, fiber is a complex carbohydrate, which doesn’t contain any calories and can’t be digested by the body. There are two types of fiber, soluble and insoluble. Soluble fiber absorbs water as it moves through the body and softens stool, helping to alleviate constipation. It is also beneficial in lowering cholesterol, thereby reducing the risk of heart disease. 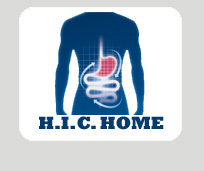 On the other hand, insoluble fiber creates bulk in the stool to help ease it through the digestive tract. Fruit is an excellent source of fiber, along with whole grain cereals and breads, vegetables, and all types of beans. The American Dietetic Association recommends that adults consume 25 to 38 grams of fiber each day. 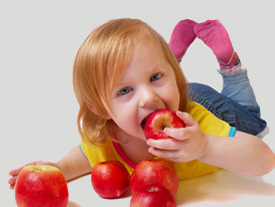 In fruit, the highest concentration of fiber is found in the skin of pears, nectarines, apples, and peaches. Skip peeling these fruits, and wash them well to get the full benefit of the nutrients and fiber encased in the skin. The brightest-colored fruit contains the highest amounts of protective, disease-preventing compounds. In addition, powerful antioxidants are also found at higher levels in the most colorful fruits. Place a bowl of fruit on the table, counter, or in the refrigerator. Cut-up fruit and store in the refrigerator to be available as a quick snack. Purchase fresh fruits according to the season when they are available to save on costs. Keep a supply of fruit on hand, whether they are dried, canned, frozen, or fresh. For convenience sake, buy pre-cut packages of fruit to snack on. Choose packaged fruits that don’t contain added sugars. So the next time you pass by that bowl of fruit on the counter, look it over and choose what appeals to you. You will be doing yourself and your health a huge favor because fiber in fruit contributes to health.